Ocala, Florida — Since the transfer of 911 dispatch services from the Marion County Sheriff’s Office to the county commissioners control that took place in 2012, many local residents have voiced their opinions that MCSO losing control of the service was a detriment to the community. Recently, Misty Lloyd, a tax paying citizen of Marion County, had several teens bang on her front door. The teens fled and a neighbor told Lloyd’s husband which direction they ran. Her husband then proceeded to track the teens. Moments later, Lloyd heard two gunshots. Not knowing if her husband had been shot, she dialed 911. She expected a 911 operator to answer, but instead, the phone rang off the hook. She stated that she hung up and called a second time, and again, the phone rang off the hook. Luckily, Lloyd’s husband and a neighbor had scared off the teens; therefore, there was no longer a need for a deputy to be dispatched. Lloyd stated that four (4) minutes after she had placed the 911 call, she received a call back from 911 dispatch. Nearly 20 minutes later, a deputy contacted Lloyd. In 24 minutes, a life could have been lost. Ocala Post has received dozens of e-mails referencing the same scenario. Many of the e-mails mentioned wait times for a response of up to 45 minutes. Since the county commission took control of the 911 communications center, public safety has down spiraled. And with MCSO already being short handed on deputies, the citizens of Marion County are now at even greater risk. 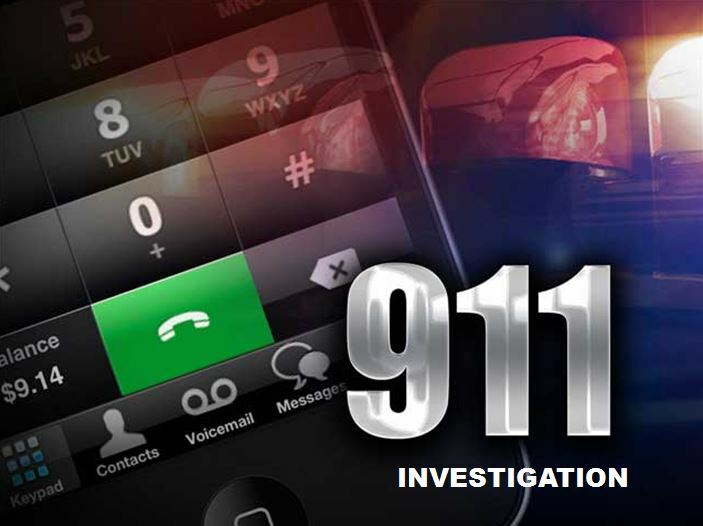 After all, not being able to reach a 911 operator could mean your life, as they are the link to dispatching a deputy or other first responders to any emergency. Many times, County Commissioners Carl Zalak and Stan McClain have literally laughed about public safety during public meetings. Those laughs were also captured on video. Public safety also includes Marion County Fire Rescue. On top of the serious lack of pay for public safety personnel, they (firefighters and deputies) have also been dealing with the lack of support from commissioners. The BOCC has refused many times to give raises to deputies and firefighters. Yet, the BOCC makes sure their salaries are plentiful. Earlier this year, the BOCC “reclassed” two of its public information officers. One PIO salary went from $54,184.75 to $58,616.99; an increase of $4,432.24. Another went from $61,001.73 to $66,614.30; an increase of $5,612.57. The raises total $10,044.81 — a lot more than three (3) percent that firefighters and deputies were asking for. Reportedly, the PIO positions are family of McClain. A reasonable person could draw the conclusion that it is a conflict of interest for McClain to be involved. Some residents have asked when the last time one of the BOCC’s PIOs has ever been on TV or spoke on behalf of a commissioner. The truth is, the BOCC does not need PIO positions. Even though MCSO did eventually receive raises, it wasn’t without a yearlong, drawn out, public argument. MCFR is still fighting for a pay increase. Even more troubling, is the fact that McClain was laughing in some of the meetings, while telling the sheriff how to manage his budget. McClain is in charge of managing the countywide budget of more than $500 million; however, according to Federal Bankruptcy Court records, [he] cannot even manage his own personal finances. McClain filed for bankruptcy in 2007; wiping out a substantial amount of debt. In 2013, Capital One Bank filed a lawsuit against McClain in which the default final judgment was issued in December of 2013. McClain is also currently in the middle of foreclosure proceedings on a home valued at more than $250,000. Prior to filing bankruptcy, McClain purchased a $16,000 vehicle in which he only made payments for $1,117.53 within 90 days of filing bankruptcy. McClain reaffirmed the debt with CitiFinancial, which legally allowed him to exclude it from bankruptcy. At the time of his bankruptcy, he also owed the IRS $5,000. McClain, who has also been pushing for the sale of the jail, has heavily opposed more funding for public safety. He has been the driving force behind the sale of the jail to Corrections Corporation of America (CCA). And although the deal is “off the table” for the time being, Kathy Bryant stated in an earlier interview that she would reconsider the proposition if CCA were to make a more reasonable counteroffer. According to information received by Ocala Post, McClain has political and possibly family ties to CCA and stands to largely benefit from the sale. According to unnamed sources, if the sale of the jail was approved, McClain would earn a seat with CCA’s board of directors. Many residents have also expressed concerns over the $20 million landfill deal the BOCC is involved with, namely because Zalak is in the waste services business. He is listed as the VP of C & C Recycling of Central Florida, Inc., which is also tied in with Busy Bee Waste Services. It should also be known to Marion County residents that all seven members of the Planning Board have ties to the construction industry; many are even involved in projects that come before them for review. And all commissioners have taken contributions from developers that needed projects approved. Ocala Post has exposed the corruption within the BOCC many times. Commissioner Zalak deflected by mocking Ocala Post on open forum in an attempt to take the spotlight off himself. Why? Because Ocala Post, unlike other media outlets, does not have ties to the BOCC, and actually printed the truth and not propaganda. Ocala Post has shown the citizens of Marion County what is actually going on behind closed doors. Zalak, who is said to have quite the temper, has also been known to make threats to those who oppose him. Commissioners have also made the statement that Ocala Post has not contacted any of the commissioners, but that is also not true. Ocala Post has reached out many times, on many issues, and an answer was never received. The same could be said for city leaders. Today, Ocala Post spoke with Karl F. Oltz, Director of Public Safety Communications. He said there are two communications centers in Marion County. He said if he could determine where the 911 calls originated from, he could determine which call center has an issue. He indicated that he would be more than willing to work with the public on correcting the issue. He can be reached by e-mail at Karl.Oltz@marioncountyfl.org. Citizens want to know they are safe. The 911 system is a vital life line for Marion County residents. With home invasions, shootings, and robberies on the rise in Ocala, the commission should certainly do a better job at ensuring all 911 calls are being answered, and on the first ring. Whether it be staffing issues due to lack of funding, or incompetence; citizens have made it clear that any 911 call that goes unanswered, is one call too many. The Lloyd family was not injured during the incident.